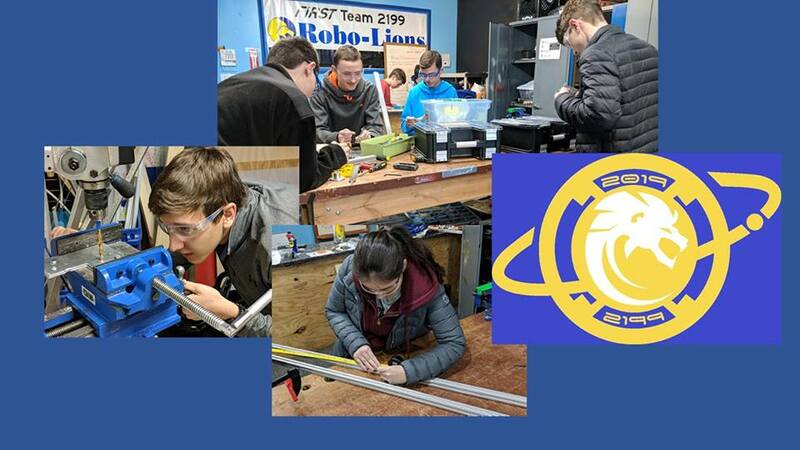 The Robo-Lions, FIRST Robotics Competition Team 2199, are a community team located in Finksburg, Maryland but open to High School and advanced Middle School students all over Maryland. 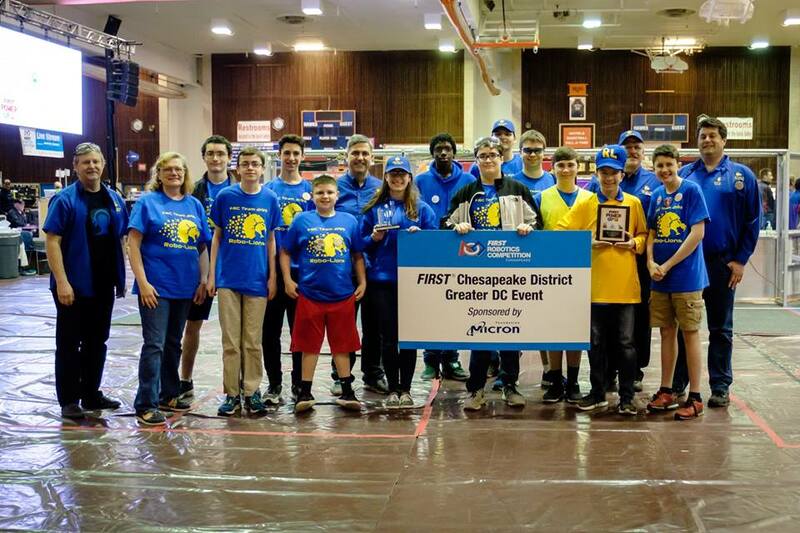 The Robo-Lions compete at the highest level of difficulty for high school students, FIRST Robotics Competition (FRC) and the Robo-Lions are among the top 5 all-around teams in Maryland. FIRST is an organization that stands for “For Inspiration and Recognition for Science and Technology” and is a non-profit dedicated to that mission. The Robo-Lions are also the lead team of Partnership and Inspiration for Engineering Education and Entrepreneurship or “PIE-cubed” which is a 501(c)(3) not for profit dedicated to K-12 STEM participation particularly through FIRST Robotics Programs. FRC Teams worldwide learn the new game challenge the first Saturday in January via a webcast video. Then, they are given 6 weeks to complete a robot using a basic kit of parts augmented by other supplies within a fixed budget. At the end of 6 weeks the robot is “bagged” and cannot be touched again until the next competition. Robots compete in randomly selected alliances of 3 robots against another randomly selected alliance of 3 robots (Blue and Red Alliances) during Qualification rounds. The 8 teams with the highest scores out of Qualification rounds take turns picking two partners for the Elimination Rounds (24 teams total). These selected alliances compete in Quarterfinal, Semifinal, and Final Elimination Matches. Starting in 2016 the Robo-Lions are in the Chesapeake District which includes Maryland, DC, and Virginia. Teams select two District Qualifying events and hope to amass enough qualifying points to go to the District Championships. The top teams at the District Championships will qualify for the World Championships. The Robo-Lions take very seriously the FIRST mission to inspire respect for Science and Technology and are a regular fixture at numerous community events. Interested students of parents should contact Lead Mentor Rose Young at rmyoung.pie3@gmail.com to learn about joining the team.